Beginning Sept. 17, the village of Igiugig will eat only traditional foods, locally raised foods and oatmeal for six weeks. Nutrition related health concerns plague the United States as a whole, and rural Alaska is no exception. 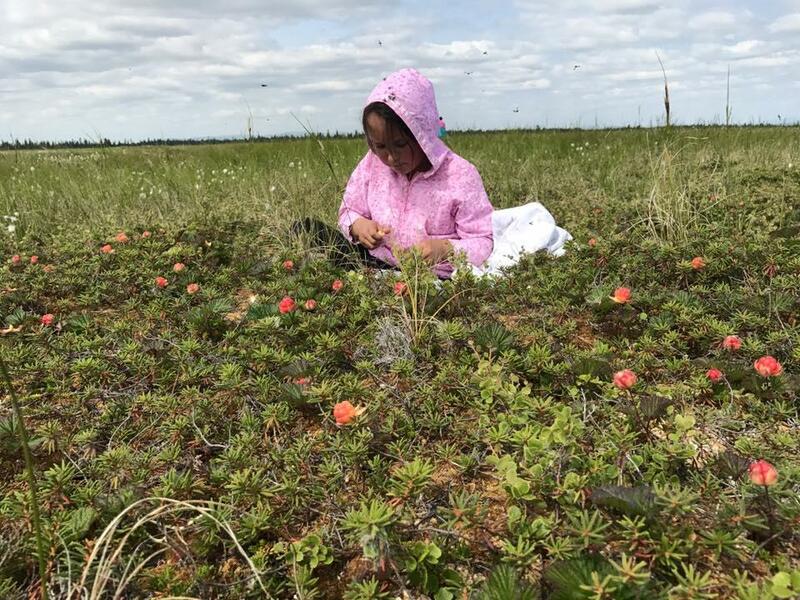 People in village of Igiugig are aiming to improve their health this fall with a Native Foods Challenge. Igiugig’s high school literature class read “In Defense of Food” by Michael Pollan last school year. In the book, Pollan details a seven-week project. A group of Aboriginal Australians who lived in the city and ate a Western diet moved to the outback and ate traditional food for seven weeks. At the end of the period, all saw health improvements. Renae Zackar processes a seal. For six weeks, starting September 17, the adults and children in the village are challenging themselves to eat only traditional foods, locally raised foods and oatmeal. For the past eight months, the village has been putting away fish, berries, greens and game. 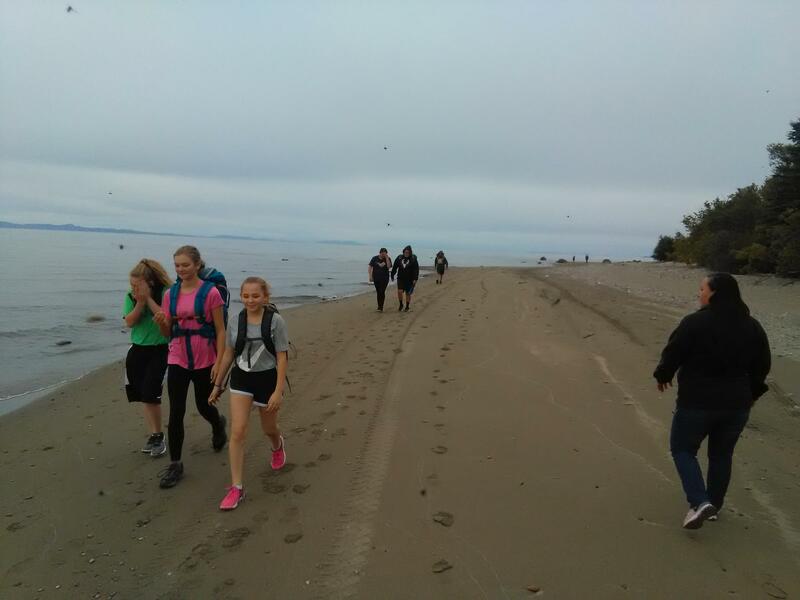 “It’s gotten people a lot closer together and talking about food and subsistence. I think a lot of people harvesting things they’ve never harvested before. We have people putting up sour dock and different greens. 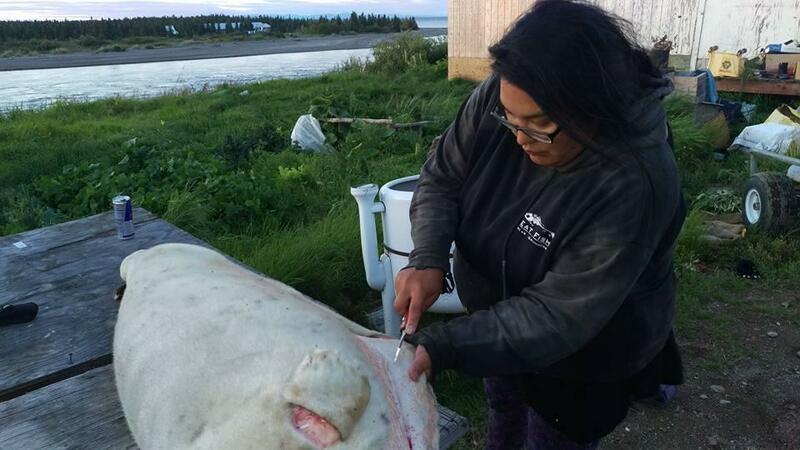 We’ve got people boiling down caribou bones and making fat cake,” said Gooden. The project is a health experiment, so residents have already begun regular health screenings. Every month in 2017 they have taken their weight, blood pressure, blood sugar and heart rate. They will compare the results from before and after the challenge. The final component of the challenge is a trek to Big Mountain. It lies 23 miles east of Igiugig. For four days in the last week of September the village will hike to the mountain, which is a traditional meeting place between Igiugig and the village of Kokhanok. At Big Mountain they will have a Native Foods potluck, and then they will fly home. The project’s focus is much broader than watching weight or blood sugar or even honing subsistence skills. “This project focuses on the relationships and interdependence of food, culture, identity, community, subsistence and health,” said Gooden. The challenge concludes on October 28. Contact the author at avery@kdlg.org 907-842-5281.